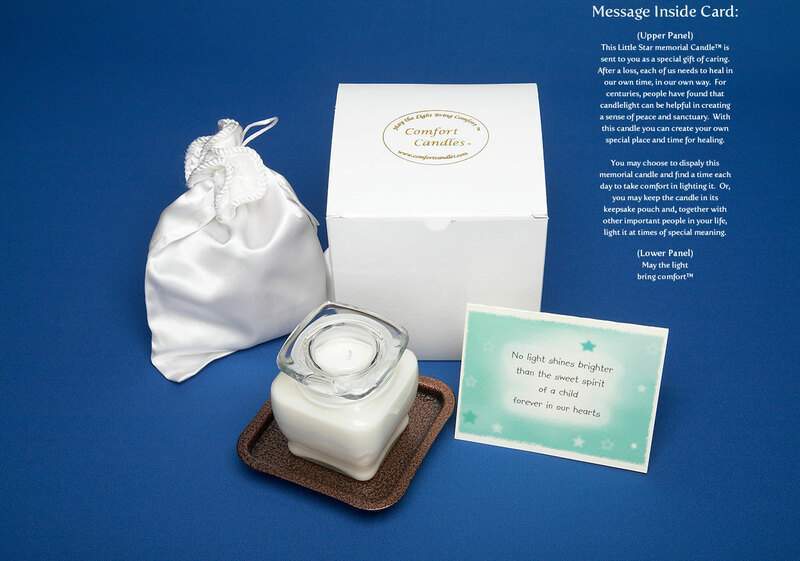 A special gift package designed to comfort those grieving the loss of a child through miscarriage, illness or other situation and to honor their loving spirit which continues to shine. Each set includes a soothing aromatherapy candle hand poured in a beautiful glass encased holder and brass stand. This precious candle gift comes nestled in a pure white satin pouch to hold the candle or other cherished treasures of the heart. It also includes a caring card that supports the needs of those coping with this type of loss.